Personal letterheads are so much more than easy and appealing ways to send a message through email or post. There’s even more going on if you’re planning a personal event. Almost everyone now organizes events by developing concepts, even if we turn to the traditional one. 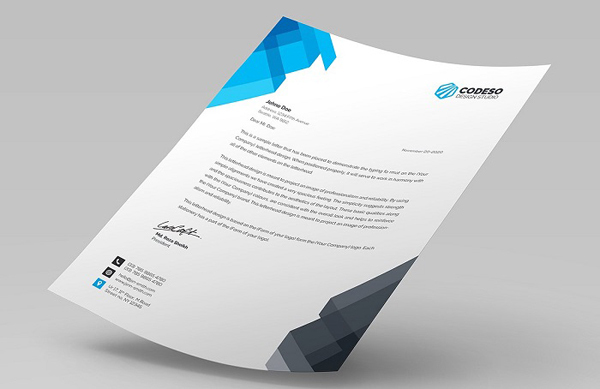 The personal letterhead can make a plain sheet of paper to look premium and impressive. Not everyone can develop a personal letterhead design, especially if you’re not a graphic designer. However, you can find specialized templates for any event you plan to organize. 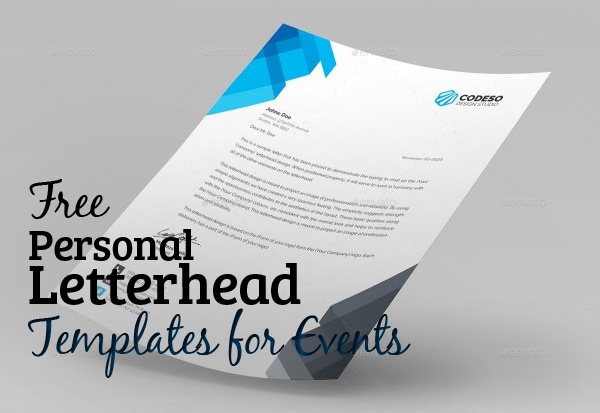 There are so many uses and events you can integrate personal letterheads into. Let’s see the most conservative and the least traditional templates that we might just use the next time! The right calendar template requires time for research. You don’t need a budget for this tiny project for your event. The below are free for download from TemplatesAssistant. Once they’re in your computer, feel free to personalize every detail. Personal letterheads are branding tools. Yes, you can use them as marketing means to announce a spectacular event or a life celebration. There are so many occasions that allow you to turn to personal letterheads. Let’s see some of them below. Invitations for weddings, baptisms and once-in-a-lifetime family events. Invitations for birthdays, anniversaries, traditional events, or themed parties. Letters of announcements with the event as marking the news. Event presentations, business invitations to conferences or meetings. Personal brand or product releases with events. Brand initiatives if you’re an entrepreneur. Font: The font is essential, but it doesn’t need to overcharge the personal letterhead. 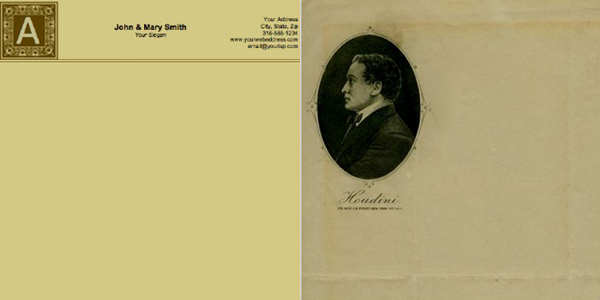 If the letterhead design is simple, you can complete it with a complex and creative font. Remember that readers need to understand the text and writing style. Paragraph style: You can choose whether you want a lot of space between lines, right or left alignment and so on. 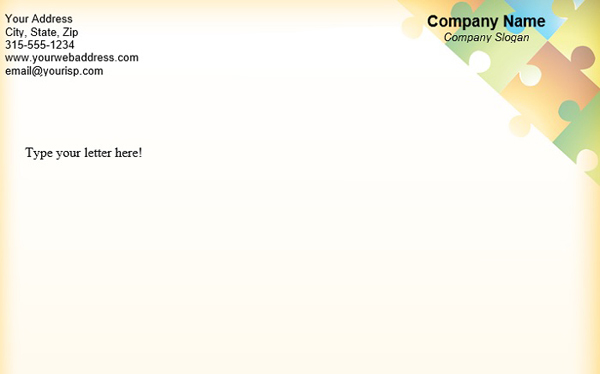 Experiment and play with paragraph styles to make your letterhead follow the event concept even more. Details: Beauty lies in details. You can find room for a small and simple logo to accompany your personal letterhead with a creative font available online. If there’s a family event in discussion, feel free to try drawing a logo based on a detail that everyone recognizes. Tone of voice: Communication is key for success. Decide the tone of voice and how long the message should be. You can even research on speech techniques that have an impact on the audience such as captatio benevolentae and use them in writing. 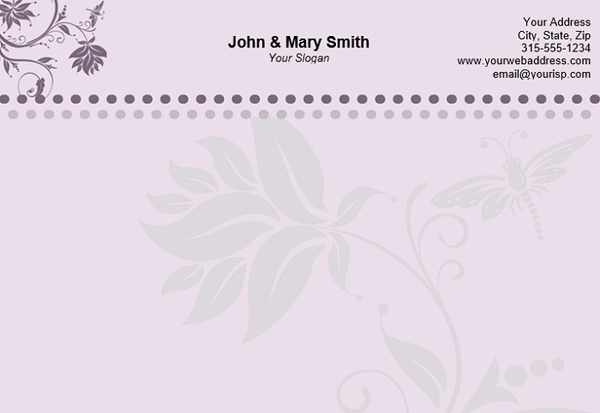 Envelope or email title: The above personal letterhead templates are available for digital or paper use. In any of the situations you will need to wrap up the message. If you’re sending out a paper personal letterhead, consider an appropriate envelope type. Email can help you with a direct and captivating title. Confirmation: Make sure you receive a response by including an RSVP deadline into the letter, if you’re working on an invitation. 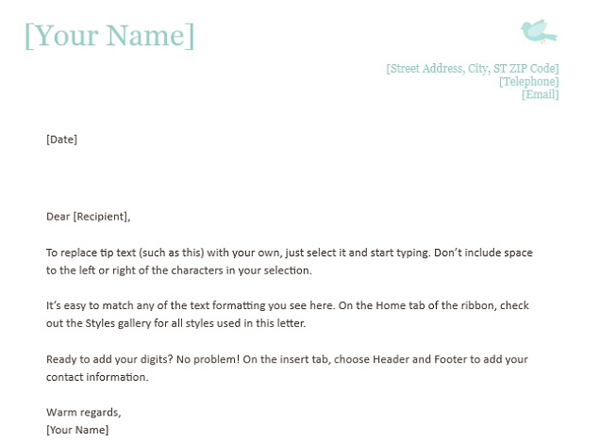 If the letter is digital, you can select an automatic email reading confirmation while waiting for the confirmation. However, you should mention that the confirmation needs to be sent out personally. Timeline: Family events depend on number of guests and location possibilities. Therefore, consider the right timing to send out the letters, make sure they reach destination and readers have enough time to decide whether they can come to an event. Versatility: Personal letterheads can be useful for the entire event planning. Don’t limit them to invitations. You can have a multi-purpose letterhead by integrating it into an event announcement teaser, invitation, agenda, welcome mats, thank you notes and even feedback requests. Remember that there’s a balance between design and writing. Don’t add redundant contact information if it’s not necessary. However, everything depends on your event and the purpose of the letterheaded document. Experiment, and find 2 – 3 possibilities. Let them rest for a few hours while you clear your mind off the project and then choose one of them. The readers matter. Therefore, adjust your event concept, letters and design to their preferences. The more they relate to your letter content, the larger its impact will be. So, find the right template above, personalize it and monitor results!